I hope this Sabbath day is a day of rest and reflection on the goodness of the Lord. One of the things the Lord has been teaching me lately has been the idea of seeking to be uncomfortable. For students in the United States, it’s easy to “believe” in Jesus, but it’s hard to follow Jesus. 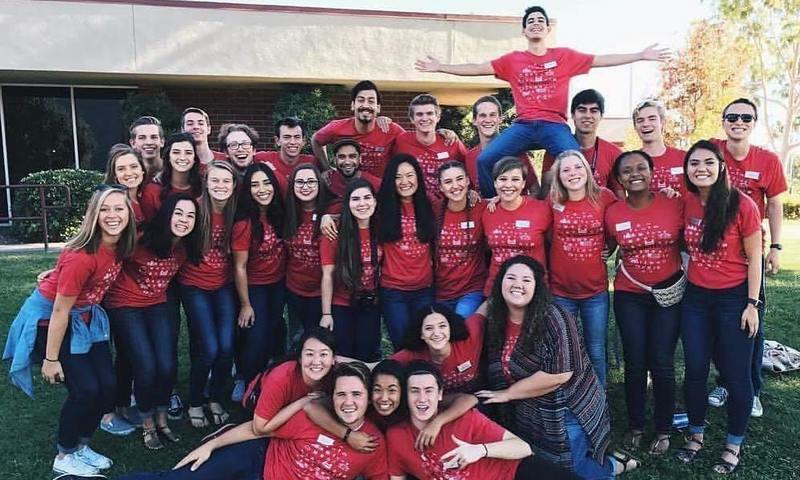 I know, for me, when I was in high school and even now at Biola, I would find it easier to blend into mainstream and often lukewarm Christian culture rather than to pursue my faith with the fervency it warranted. As people, we tend to want to blend into the crowd and play the comparison game. For example, I would excuse faults in my own pursuit of the Lord by using the rationale of: “well, other people who claim to be Christians do this” or “it’s ok because I’m still doing better spiritually than that person.” This way of thinking is not the way God wants us to view our spiritual and personal growth. In my 5 years of being a follower of Jesus, my spiritual growth has not come from comparison or blending into mainstream, lukewarm Christian behavior. My spiritual growth has come from getting uncomfortable in my faith. Like Peter, who decides to step out onto the rough sea waters to walk towards Jesus, situations that have been scary and unknown have brought me the closest to Jesus. Scripture refers to the Holy Spirit as the “Comforter.” A comforter is not attracted to the comfortable but to the uncomfortable. If we want to experience God in a new fresh way, we must continue to find ways to be uncomfortable. Seeking spiritual discomfort can manifest itself in a variety of ways. For example, Francis Chan said something in a sermon I listened to once that has always stuck with me. He said, “If you want to experience God, go make disciples.” He didn’t say keep doing the same old things you’ve always done. He said do something uncomfortable. Making disciples is scary and causes us to die to our pride and risk our reputation for His sake. This discomfort makes us rely on the Holy Spirit; therefore, we feel closer to God because God draws that much nearer to us. You can also get uncomfortable in your quiet time by reading more, contemplating harder, and praying bolder. You can be bolder in your verbal, intentional encouragement of your friends and even your enemies. You can be uncomfortable by worshipping like it is just you and God in the room instead of worrying about who is next to you at church. You can get uncomfortable by watching less tv and reading more to grow deeper in intellectual worship of the Lord. There are so many ways to get uncomfortable, and God cannot wait to meet you in your discomfort. So it is Sunday. I have a full week ahead of me and so do you. I want to be uncomfortable by fighting my pride through encouraging my friends consistently and genuinely this week. What is one way you want to get uncomfortable this week? Have a great week being uncomfortable!